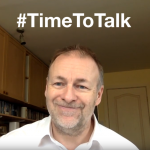 My experiences of the value in making time to talk, both on resilience workshops that I run as well as my personal experiences whilst dealing with grief. 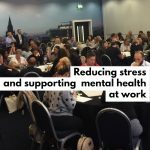 At this CIPD Annual Conference session on Thursday 8th November 2018, Nicky Ingham spoke about her own personal story of struggling with this, Ian Pettigrew spoke about the need to address organisational culture and help people be resilient and be there for them if they struggle, and David Hayden facilitated a world cafe discussion to capture the wisdom in the room about this topic. 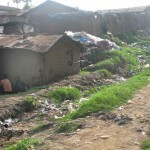 This blog post captures the discussions in the room. There are many aspects to wellbeing, and many things that organisations can do to help employees. One component is helping people to think well, and I want to explore just one element of that – the power of perspective – and illustrate it through two personal experiences. 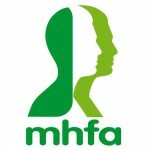 Some reflections on attending the MHFA England Standard course, training in Mental Health First Aid. 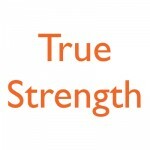 One of the really simple, but powerful, things we can do to help people’s wellbeing and resilience is to make sure that they have a great support network, giving them the opportunity to have quality conversations about how they’re doing.